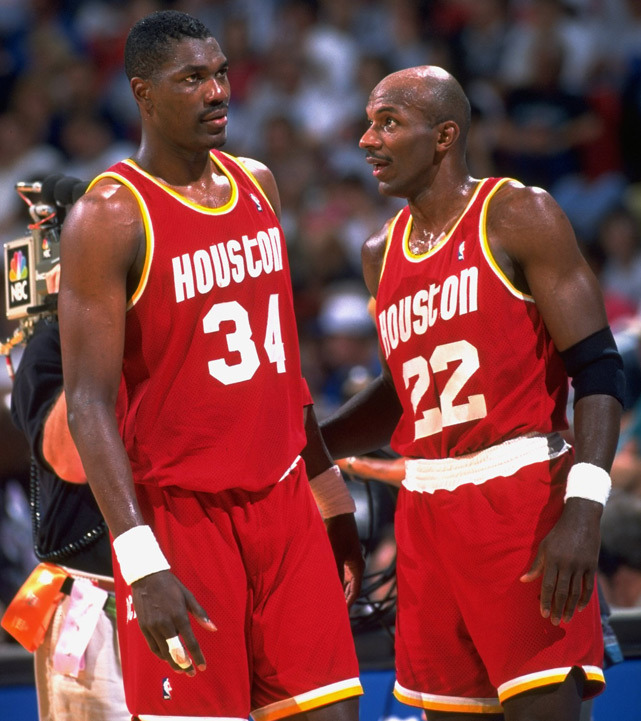 I wish the Rockets would go back to those old school plain red unis. These current ones look too gimmicky. You know, he really does have a small head. And people doubt it, but he is only 6′ 9″ (without shoes) and that’s pretty obvious there (Olajuwon is 6′ 10”).